Mandala is the sonic sage we've been waiting for! A man of many talents, who has travelled the world collecting reams of natural sounds to stretch to infinity using his enviable knowledge of samplers and finely tuned production techniques. He has distilled his life experiences and wisdom into the narrative of his musical creations, like a sonic-wave based diary of inspired frequencies from beyond this realm. Since the early nineties when Angus was gifted a case of potent music on DAT, his life has been all about sharing, playing, living and breathing psychedelic music and art in all its forms. It is this passion, drawn from a deep playful curiosity for the unknown, that has resulted in his signature sound. Paying homage to the history of the genre, yet maintaining a cutting edge current UK Psychedelic vibe, his deep melodies weave an intricate tapestry of sonic interest in this breakthrough album. Daring arrangements that challenge the norm and bass as big as it gets rumbles beneath acid drenched grooves, oozing with the intensity of a truly passionate artist determined to create something remarkable. 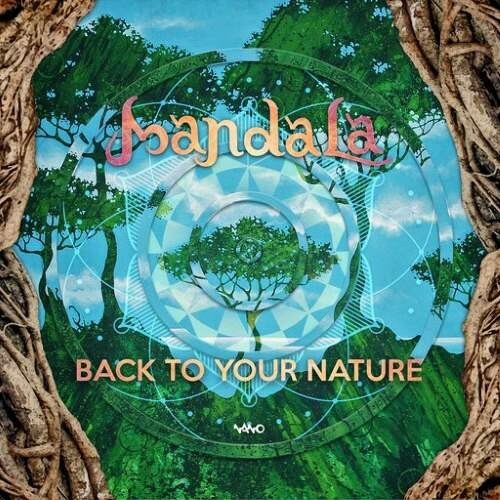 After a string of highly acclaimed EP releases and collaborations on Nano Records with the likes of Tristan, Pogo, Braincell and many more, Mandala has spent the last two years solidly locked in the studio creating this masterpiece of a debut album. Inspired by the beauty of nature and the magic that flows around us, we are proud to present Mandala's 'Back to your Nature'!